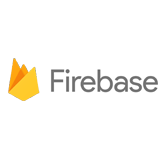 Firebase provides real time database, different APIs, multiple authentication types and hosting platform. It is a backend platform to build web, Android and IOS applications. This tutorial covers various concepts of Firebase platform and various components and sub-components. This tutorial is designed for developers to develop user-friendly backend platform. This tutorial is useful to develop with the Firebase backend platform and its various functions.